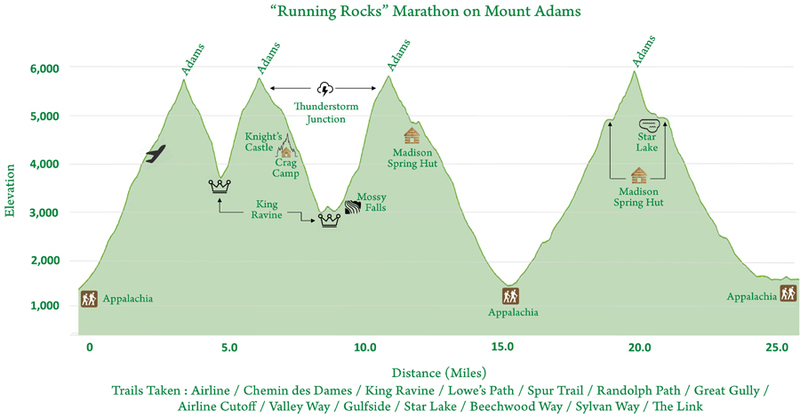 - On Saturday I headed to Appalachia for 6AM to spend twelve hours hiking and rock hopping the trails that lead to and from Mount Adams with an enthusiastic group of other trail runners. It was a self supported hike/run and each of us made our own route up and down the mountain and by the end of the day (6PM) everyone had done different routes of their choosing while gaining outrageous amounts of elevation. 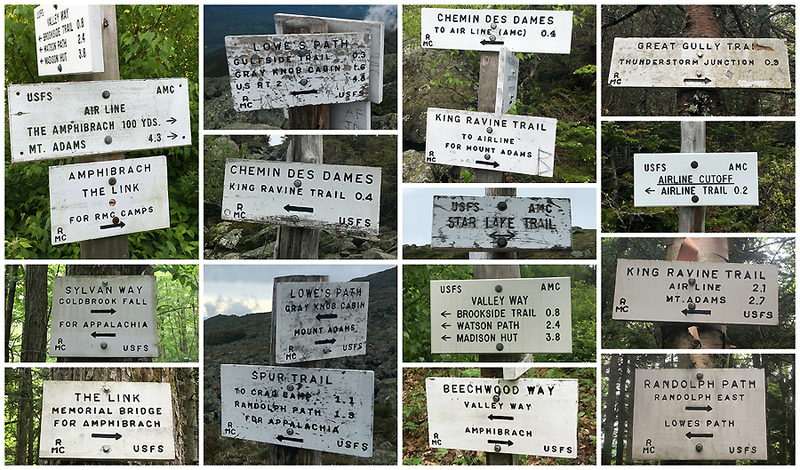 - Some of my favorite rugged trails are located below Mount Adams, more specifically King Ravine, where the King Ravine Trail and Great Gully Trail rise steeply from the floor of the ravine. So I definitely planned on traveling up both of those at some point. 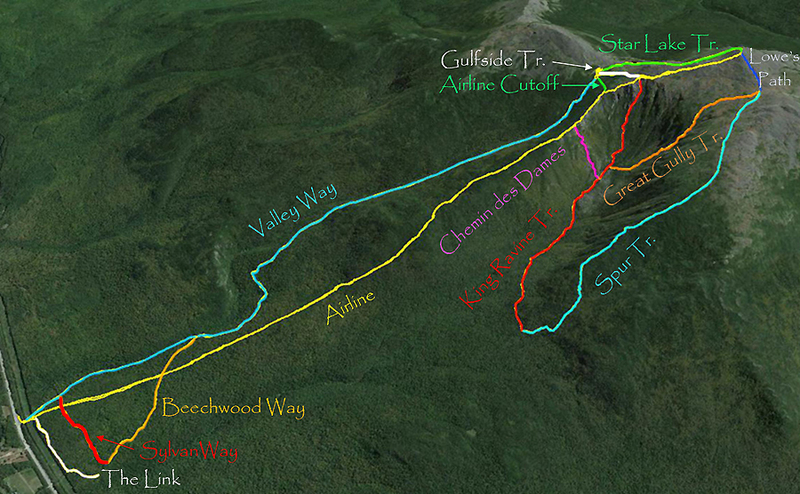 - My first ascent started off via the Airline, which is the most direct and shortest route to the summit of Mount Adams. It's a great trail as it ascends the knife edge of Durand Ridge above treeline which sits atop the northern wall of the King Ravine. - From the summit I dropped back down Airline to the Chemin des Dames Trail where I descended steeply to the foot of King Ravine. The Chemin des Dames is a doozy of a drop to King Ravine. The trail is under a half mile long but steep and very very rugged, speed is not possible here as the footing is too tricky so going slow and enjoying the views of the steep bowl that makes up the King Ravine is the way to approach this short stretch. - Once at the King Ravine Trail junction I banged a left and made the 1,400 foot elevation gain up the ravine headwall in just under a mile. 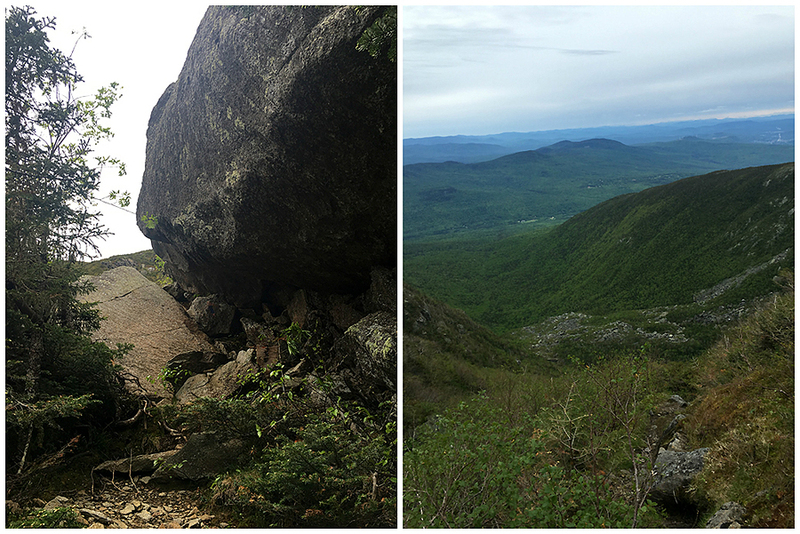 The trail is rugged and beautiful and the views just keep improving as you make your way up to the Gateway ending at Durand Ridge. 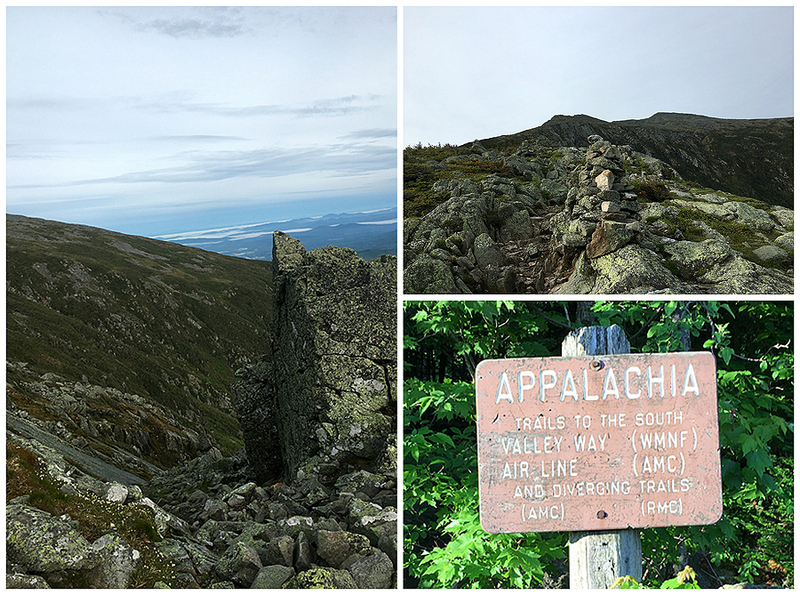 I was feeling very sluggish up to Durand Ridge but as I made my way up to the summit of Adams I felt refreshed and revitalized and ended up feeling great the rest of the day. 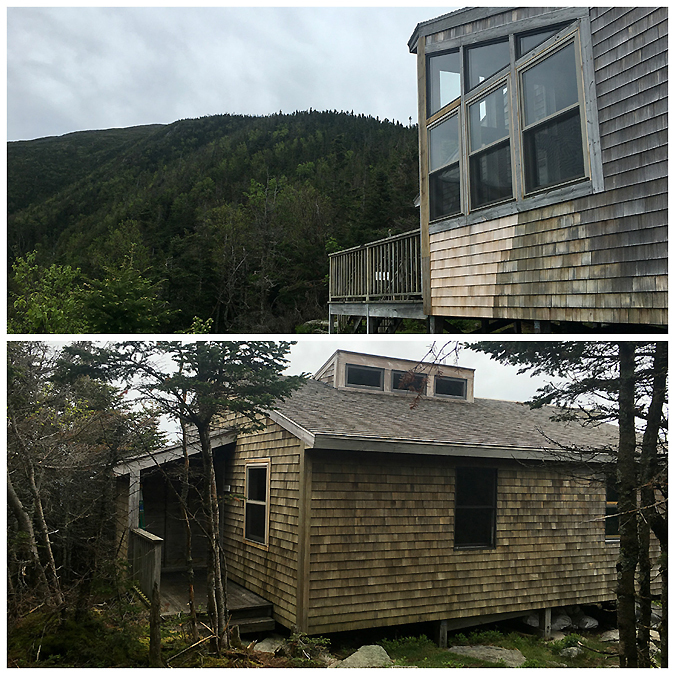 - After summiting for the second time I chose to head to Thunderstorm Junction via Lowe's Path and then hook onto the Spur Trail which travels above the southern wall of King Ravine. I really enjoy the above treeline stretch of this trail as it's less crowded than the more popular Lowe's Path which parallels it on top of the ridge just to the south. Once below treeline I made my way past Crag Camp, a RMC shelter which is perched above King Ravine, where there is a tremendous view right outside its front door of the ravine. From here the footing for the Spur Trail becomes more eroded and rugged until reaching the Randolph Path, which I took east for one hundred yards, before banging a right onto the King Ravine Trail well below the floor of the ravine. 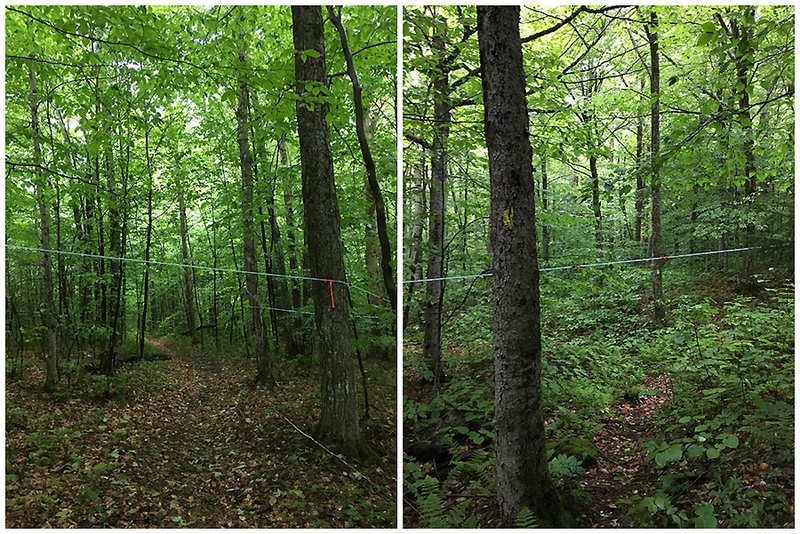 - This time when I reached the ravine floor I made a right onto the Great Gully Trail, which parallels the King Ravine Trail on the opposite side of the ravine. 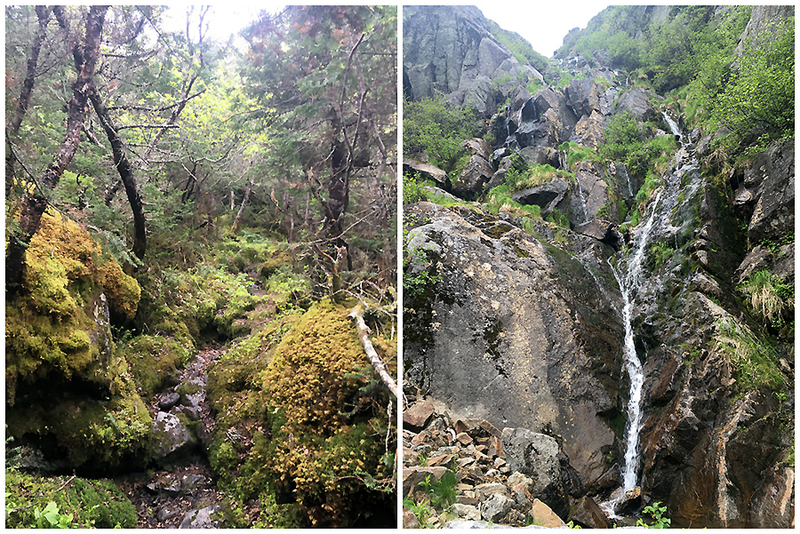 The Great Gully Trail pops out at Thunderstorm Junction after a mile and and elevation gain of 1,700 feet, it's another excessively steep ascent but has better footing than the King Ravine Trail, more dirt and moss, less lose rocks and odd shaped boulders. 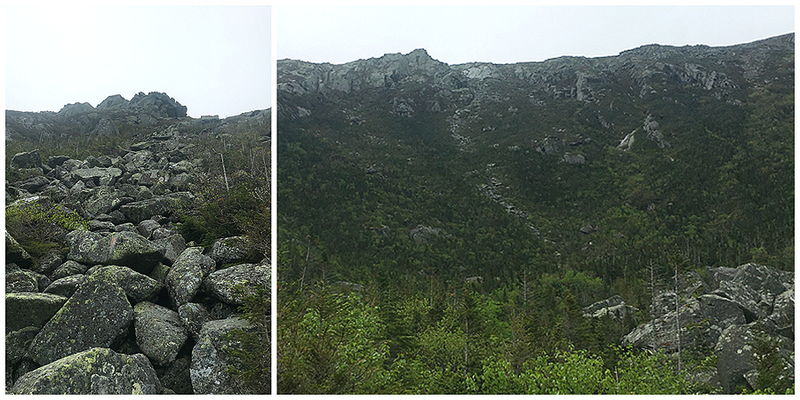 - I decided when I arrived at Thunderstorm Junction that my steep climbs were done for the day. From the junction I made my way to the summit for the third time, via Lowe's Path, then headed down Airline and the Gulfside Trail to Madison Springs Hut which was pretty crowded. 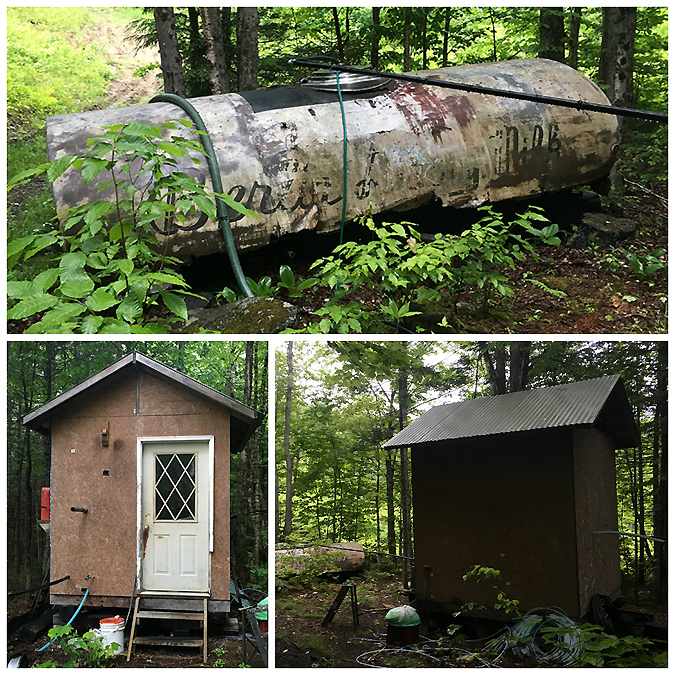 - I refilled my water and took a short break before deciding to head back to my Jeep at Appalachia to restock my gear and make a wardrobe change. From the hut I took the Airline cutoff and Airline back down to the trailhead. - Back at my Jeep I changed out of my leggings and changed into shorts, changed my socks, shirt, restocked my food, and was back on trail for 1:30PM, with four and a half hours left. The weather started to roll in at this point, nothing serious, just light rain showers. I played it safe and headed up the Valley Way, I take comfort when doing a big mile big elevation day to be on a highly used trail for my final ascent of the day. 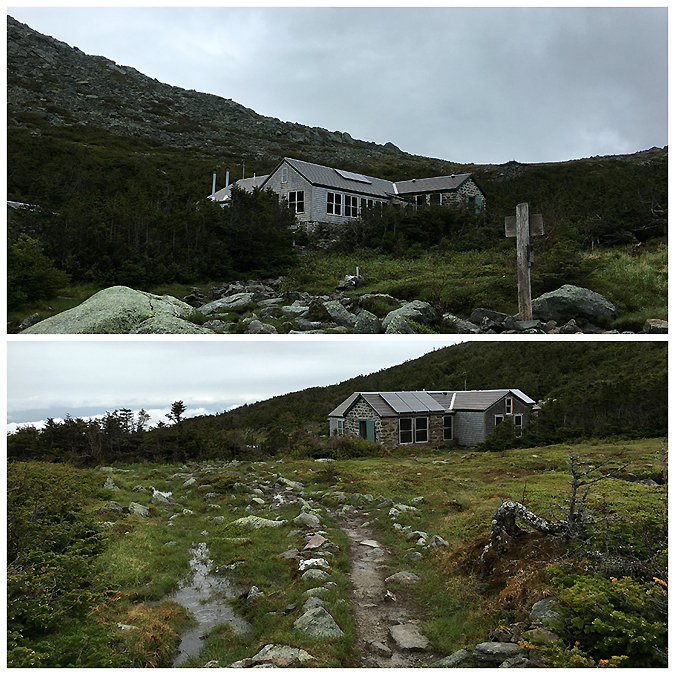 I must have came upon three dozen hikers descending as I headed up to the hut. The trail was in pretty nasty shape after the first two miles, more mud then I remember, but that is what happens when it rains and sees hundreds of boots for foot traffic while it's raining. - I made it to the hut and put on my rain jacket, hat, and gloves to stay warm. Even though it was on and off showers above treeline it was still pleasant out, most people where in long sleeves or t-shirts, I run cold so I have to put on my hat and gloves. On the whole the weather for the day was perfect for an all day affair. high 50's low 60's below treeline, high 40's to low 50's above treeline, with a light breeze and high cloud cover. 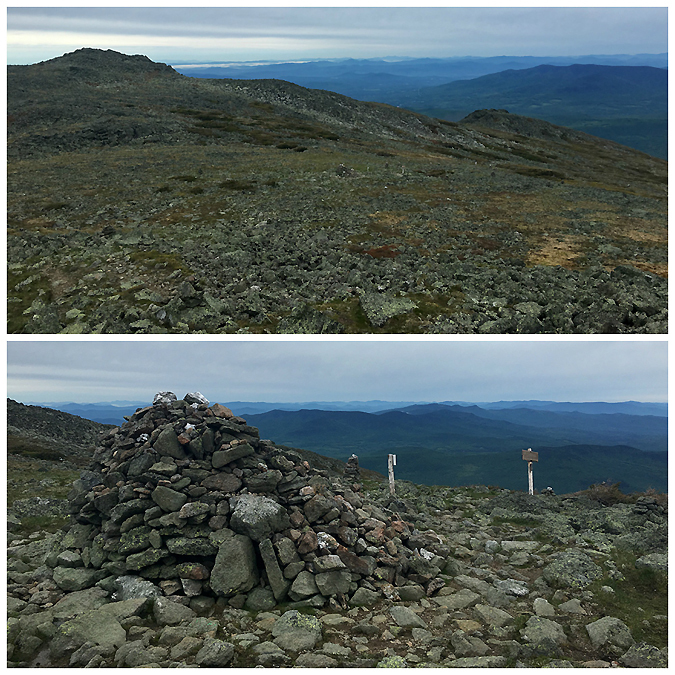 - My fourth and final summit from the hut was over well traveled terrain, Gulfside and Airline. 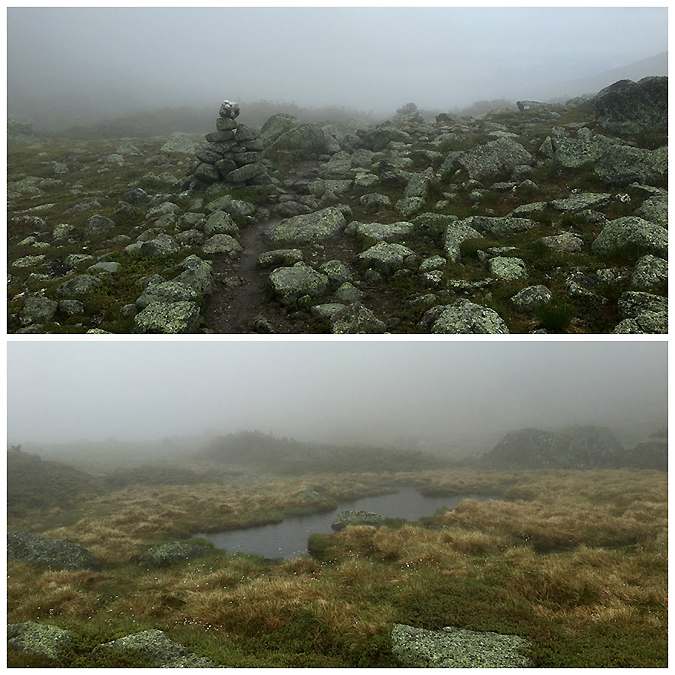 The rain was lighter above treeline than below so that was nice as the breeze was picking up as 4PM approached, but still everything was 5 by 5. 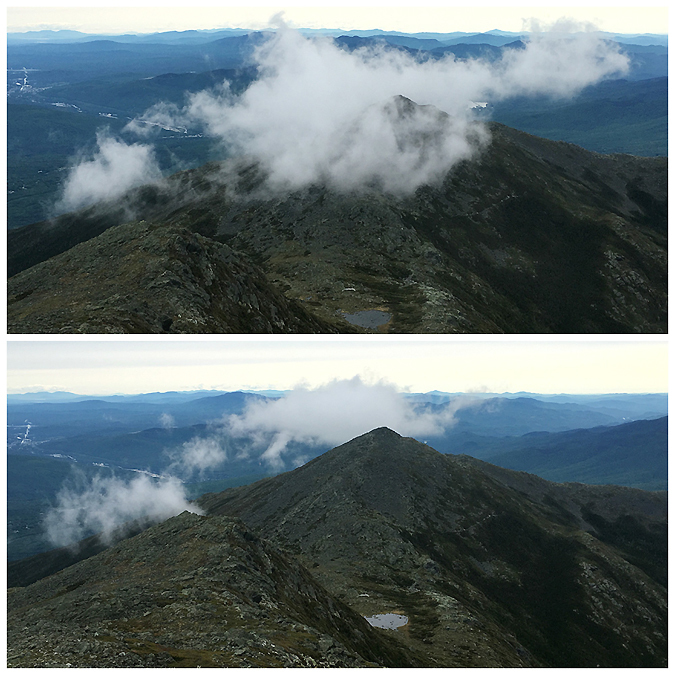 As I made my way up an undercast of clouds started to roll into the valley and notches below and float its way up towards Mount Madison. When I saw this I made the decision to descend the Star Lake Trail. 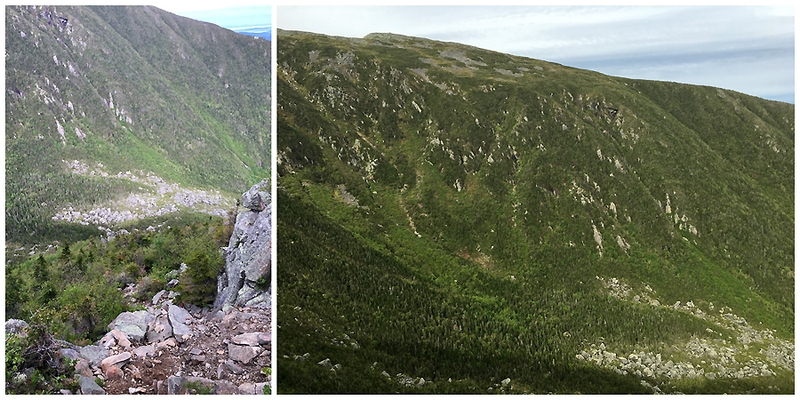 While this trail is rougher than just backtracking to the hut I wasn't about to miss out on the undercast lifting up from Madison Gulf and overtaking Star Lake, the hut, and the summit cone of Mount Madison. It was perfect timing and a great way to enjoy my walk back down to treeline. - I took one last break at the hut before taking the safe way back down, Valley Way. I had two goals for the day, gain over 12,000 feet of elevation and put in a marathon distance of miles. I was well over my 12,000 feet elevation gained goal but was going to come up short, according to my GPS watch, for 26.2 miles, even though the AMC maps had me two miles over at 28.5ish. On the way out I took some of the really nice side trails near Appalachia, Beechwood Way, Sylvan Way, and then part of The Link to achieve the marathon goal and finishing my all day affair of Mount Adams at 5:30PM, eleven hours and thirty minutes after I started! Heading up the Great Gully Trail. It is a little more enclosed than the King Ravine Trail with more dirt and moss. It travels right under a really nice mini cascade on it's way up. Teardrop Boulder, this poor thing is all alone in the woods and it feels sad so it takes the shape of a tear drop...I made that up, but it sounds good!